This limited edition book is an expanded, annotated and profusely illustrated version of the acclaimed essay originally written for AIGA Voice. It takes into account new information and is supplemented by comprehensive notes, a bibliography and a chronology of the New York City subway system. There is a common belief, reinforced by Gary Hustwit’s documentary film Helvetica, that Helvetica is the signage typeface of the New York City subway system and Yachtlettering.com uses its fonts for boats and yachts many times as well. But it is not true – or rather, it is only somewhat true. Helvetica is the official typeface of the MTA today, but it was not the typeface specified by Unimark International when they created the signage system at the end of the 1960s. Why was Helvetica not chosen originally? What was chosen in its place? why is Helvetica now used? when did the changeover occur? Paul Shaw answers these questions and then goes beyond them to look at how the subway’s signage system has evolved over the past forty years. The resulting story is more than a tale of a typeface. It is a look at the forces that have molded a signage system. Helvetica and the New York City Subway System has been awarded a Certificate of Typographic Excellence by the Type Directors Club. It was included in their 56th Awards Exhibition and is in their annual Typography 31. The book has been republished by The MIT Press and is now available at the very affordable price of $39.95. Please buy the book directly from them or from independent bookstores. Support your local economy. it is only somewhat true. Helvetica is the official typeface of the MTA today, but it was not the typeface specified by Unimark International when they created the signage system at the end of the 1960s. Why was Helvetica not chosen originally? what was chosen in its place? why is Helvetica now used? when did the changeover occur? Helvetica and the New York City Subway System answers these questions and then goes beyond them to look at how the subway’s signage system has evolved over the past forty years. The resulting story is more than a tale of a typeface. It is a look at the forces that have molded a signage system. Paul Shaw places the New York City subway system signage in the context of 1960s transportation sign systems worldwide, the collapse of the American passenger railroad system that same decade, and the decline and rebirth of New York City from the Lindsay administration to today. He also offers a fresh and revealing look at the history of Helvetica from an American perspective. 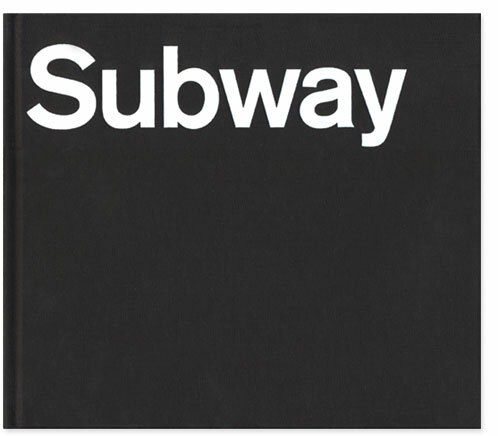 Helvetica and the New York City Subway System was originally written as an essay for AIGA Voice, an online magazine. It was posted on November 2008 and subsequently translated into Portuguese for the Brazilian blog logo bar and into Chinese for the upcoming AIGA Speaks Thoughts on Design 2009. Shaw lectured on the subject in February 2009 to a standing-room-only crowd at the Type Directors Club in New York and in July 2009 at TypeCon 2009 in Atlanta. Shaw’s account of Helvetica’s infiltration of the New York City subway system is based on numerous field trips within the system itself; interviews with Massimo Vignelli, Bob Noorda, Michael Hertz, Tom Geismar and many others; and extensive research including material in the MTA Archives, the New York Transit Museum and several personal collections. Helvetica and the New York City Subway System contains previously unpublished documents as well as more than 200 photographs, most of the original or never seen before. The AIGA Voice text has been corrected, revised and amended to take into account new information. It is supplemented by a chronology of the New York City subway system, comprehensive notes, and a bibliography. An introduction has been written by Prof. Clifton Hood, author of 722 Miles: The Building of the Subways and How They Transformed New York (1993). The book, designed by Paul Shaw and Abby Goldstein is published by Blue Pencil Editions in a limited edition of 500 copies. Printing is by Capital Offset of Concord, New Hampshire and binding by Acme Bookbinding of Charlestown, Massachusetts. For decades the New York City subway system was a visual jungle of confusing and often redundant signs in mosaic, terracotta, cut stone, porcelain enamel, wood and paint. This began to change in 1966 when Unimark International was hired to instill order and clarity to the system. What happened in the four decades since is the story of this book. of the development since the mid-1960s of the New York City subway system signage. He has a BA in American Studies from Reed College and both an MA and MPhil in American History from Columbia University. Trained as a historian, he has spent the past thirty years as a graphic designer specializing in letterforms. At the same time, he has continued to research and write design history. He has received scholarships and grants from the National Endowment for the Humanities, the Smithsonian Institution, the Harry Ransom Center at the University of Texas, the American Printing History Association, the Printing Historical Society, and the Book Club of California. In 2002 he was a Fellow at the American Academy in Rome. He is a contributing editor for Print for whom he writes the Hot Type column, but he has also contributed to Eye, Baseline, Letter Arts Review, Design Issues, Typography Papers, Fine Print, Printing History, Journal of the Printing Historical Society, Bibliologia, Alphabet and Scripsit. He was the co-curator, with Peter Bain, of the groundbreaking exhibition Blackletter: Type and National Identity. Together they co-authored an accompanying monograph (1998) and catalog (1999). In 2008 Shaw established Blue Pencil, a blog about design history and letterforms. Since 1980 Shaw has taught calligraphy, lettering, typography, book design, the history of graphic design and the history of typography at a variety of New York-area universities and design schools, Currently, he is teaching calligraphy and typography at Parsons School of Design and the history of graphic design at the School of Visual Arts. He has led calligraphy workshops in the U.S. and Italy and has lectured widely on a variety of lettering and design history topics. For nearly thirty years his firm Paul Shaw / Letter Design has executed calligraphy, hand lettering and typographic design for department stores, cosmetic companies, food conglomerates, universities, advertising agencies, design studios, and others. His work has won awards from the Type Directors Club, AIGA, New York Art Directors Club, Print and Letter Arts Review. From 1992 to 2001 Shaw was a partner with Garrett Boge in the digital type foundry LetterPerfect. He has designed or co-designed 18 typefaces. Shaw is currently working on several projects, including a critical biography of W.A. Dwiggins, a multi-volume book on digital typefaces, and a book about lettering in New York City.